Espey is a “leading edge” supplier of ground and airborne avionics power systems to Prime Contractors of the Department of Defense, US Government Agencies and it’s allies. Espey has been supplying highly reliable power solutions to the Navy, Air Force, Army, Marines, Special Forces and Coast Guard for over 80 years. The Espey standard Military and Aerospace power solutions include “Design to Spec”, MOTS, Configurable, Pluggable Power, Modular and Standard configurations. 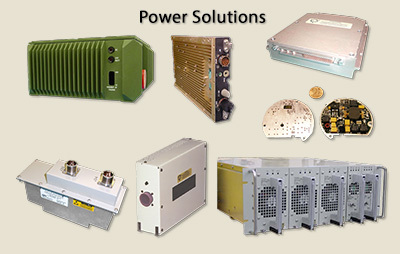 Espey routinely designs, develops and tests to Military power supply standards that include MIL-STD-810, MIL-STD-461, MIL-STD-1275, MIL-STD-1399, MIL-STD-704 to name a few.